I was asked this question this month “Where would you certify an aircraft if you had a choice?”. My answer was instinctively “Brazil”. We have done studies to determine what factors make aircraft programs successful. In order to do this you have to define your measure of success and then you have to go hunting for metrics that inform your method and reveal the truth. We use project level profitability as a measure of success. I.e. does a project manage to payback all of the costs of development and all the ongoing costs of unit production – project break-even. Beyond break-even does the project generate a profit and how does that profit relate to the investment required to bring the product to market. To the outsider this can all be dreadfully boring, but to those of us wrapped up in the industry it can reveal some intriguing insights why programs succeed or fail. This information then may then give us the knowledge to help significantly increase the chance of success of a program. The success of a program affects thousands of people – everyone working on the program and all of their families. Supplier companies, their employees and their families. When a program gets it very wrong not only are the investors out of pocket but the lives of thousands of people can be negatively affected. So – how does all this relate to the original question “Where would you certify an aircraft if you had a choice?”. This is an example of a project asking exactly the right question. We categorize risks into 3 categories – technological, certification and market. There are other risks, supply chain, liability, etc, but all of those can be managed. Technology, certification and the market are the areas of an aircraft program that can present intractable problems that may be impossible to solve. Of these ‘Big Three’, certification and the market at the two risks outside of the companies direct control. By that, I mean that the company can choose a technological basis for their product and once chosen that technology will not stop working – the technology is going to work in the same manner that it worked when you selected and developed it. Physics is reliable. The market is fickle. Designs and product features can fall in and out of fashion. Focus groups may not represent the wider market trends and the economy and the buying power of your potential customers is in constant flux. Certification regulations are subject to change, they can become less onerous or more onerous. The people responsible for interpreting the regulations change, some are good and some are ‘less good’. This is out of the control of the company. It is reasonable to say that a company has no control of the market or the economy. You just have to do your best, hedge your bets the best you can and appeal to the largest market possible. What can the company do to influence and minimize the risks and costs of the certification process? In our study we examined 25 ‘high end’ part 23 aircraft projects from the last 30 years. We found that when their development costs are normalized for inflation the yearly ‘burn rate’ in development and certification has a surprisingly small scatter. There are some outliers – the Eclipse 500 program had an average yearly burn rate over 5 times the average burn rate and 4 times the standard deviation. In 2018 US dollars the average yearly development and certification spending rate of these 25 programs was US$50M. Ignoring outliers it is accurate to state that the yearly spend rate of a program does not affect the success of the program. When you examine program duration the critical metric for success is clearer (although not universal). The program duration for the 25 programs examined range from 4 to 16 years. Using the limited data I have quoted so far this reveals that the lower limit program cost in 2018 US Dollars is going to be around US$200M and the higher limit will be US$800M. This factor 4 difference can be influenced by a number of factors – one of the factors that significantly influence program duration is certification. The program duration is also influenced by the certification interface and process management competence of the company. This specific competence of the company and the attitude of the certification authority can combine into a perfect storm of schedule extensions. In a perfect world where the regulations are universal and harmonized across international boundaries it should not matter where you choose to certify your aircraft. The world is not perfect and even within national borders there are large differences in how regional offices approach certification and this can significantly influence the success of a program. Everyone has a comfort zone – including the staff at the FAA (and every other certification authority in the world). You create very high financial risk trying to certify a part 29 rotorcraft using a local ACO (Aircraft Certification Office) that has predominantly worked with fixed wing LSA aircraft. When an FAA/EASA/CAA (fill in the blank…) employee is operating outside their personal/professional comfort zone are they more or less likely to make a finding of compliance for your project? You know the answer to that question. From our study, based on our criteria and the assumptions we have made, there are four successful part 23 companies that produce high performance aircraft. Cessna, Cirrus, Embraer and Pilatus and for all of 25 projects reviewed only 4 were found to meet our criteria of success. Note: We omitted some companies and projects from the study due to lack of data, among these omitted companies and projects were Beech and Diamond Aircraft. These companies are successful because of a number of critical factors. They design and develop great aircraft and they work with their local certification representatives to minimize the duration of the certification program. So within the US, for larger part 23 programs, considering only certification cost as a critical factor, you would select the Wichita or the Chicago ACO to work with. Internationally you would consider Brazil or Switzerland. As Embraer are the only company of all companies examined with two projects that display good success indices (the Phenom 100 and the Phenom 300), ignoring all other factors, Brazil would be our certification jurisdiction of choice. Both of the Phenom jet projects took less than 3 years to complete, the shortest programs out of all the programs we studied. This is due to the high level of competence of the development program management and the relatively small additional burden imposed by local certification authority. Most aircraft projects are located where the initial development team is located or where a region offers the most financial incentive to locate the manufacturing. Our advice is to locate the organization in a jurisdiction where the certification authority has a track record of enabling a return on investment. This brings us back around to the title of the article. 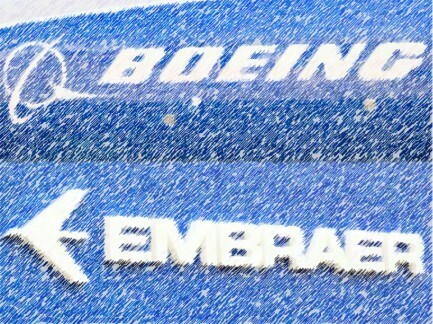 Boeing and Embraer. Boeing’s ‘partnership’ with Embraer may partly be one-upmanship on Airbus and Bombardier. It may be sensible consolidation and a way to protect the market share they have of the larger aircraft sizes. It may be to save on manufacturing cost by outsourcing to a supplier/partner with clearly demonstrated competence. Or it just may be a path for Boeing to certify new aircraft programs through a different certification authority. A certification authority that have facilitated Embraers extraordinary growth while maintaining appropriate product safety levels. What do you think? Will Boeing take the plunge and conduct a type certification program outside of the US? On a related note. Many of the new Aerial Urban Mobility projects are based in California. The Los Angeles ACO do not have favorable history of assisting and supporting companies certify new types of civil aircraft. We would advise all of these projects to seek new locations and plan on working with FAA ACOs that will maximise their chance of success by minimizing program duration and therefore program cost.